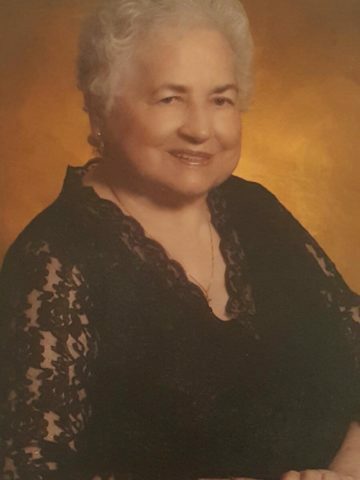 Birdie Mai Parrott, 85, of Nashville, TN died peacefully in her sleep on March 30, 2017, surrounded by her loved ones. She was born March 31, 1931 to Mary Elizabeth Fisher and Clarence Fisher. She is preceded in death by both of her parents, her sister Grace Fisher, and her brother Herbert Fisher. She is survived by her sisters, Dot Jones, Lilly Warren, Etta Richardson, and her Brother Homer Fisher (Frances); her three children, Patricia Robertson (James), James R. England (Donna), and James A. England (Debbie); four grandchildren, Donnie Harrison, Chris Owen, Dawn Nealy, and Jenniefer Stephens; nine great grandchildren and one great-great grandson. She was known as a strong woman that loved deeply. Funeral services will be held at West Harpeth on Charlotte Ave. in Nashville with visitation on Friday March 31, 2017 from 5pm-8pm and Saturday April 1, 2017 from 8:00am-12:00pm with the service starting at 1:00pm. Interment will follow at Five Points Cemetery. One Comment to Birdie Mai Parrott "Nanny"
I am the oldest grandchild of Birdie Parrott. She helped raise me as I was growing up. I cannot wait to get to see her again. It seemed as though I would never be without her and now that I am, I feel empty. She lived a long life, but for me, it will never seem like it was long enough. I love you Nanny. I look forward to seeing you again.